Caption - Deutsche Bahn (DB) BR140 (E40) 140 860-8 is one of a large class of Bo-Bo's designed for freight traffic. 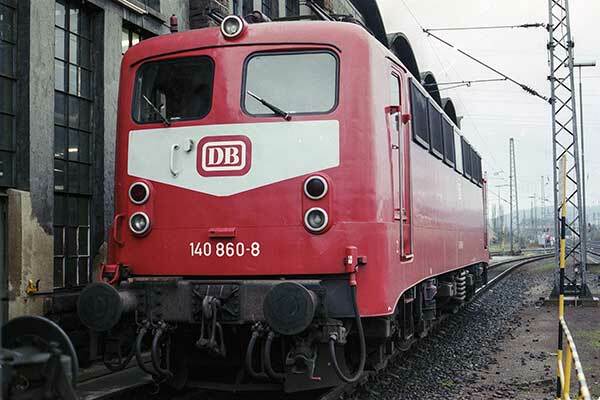 This image was taken in the Ruhr in 1990 and shows the loco in the red livery used between 1986 and 1996. This colour was replaced with a different red which in my mind was more pleasing on the eye.